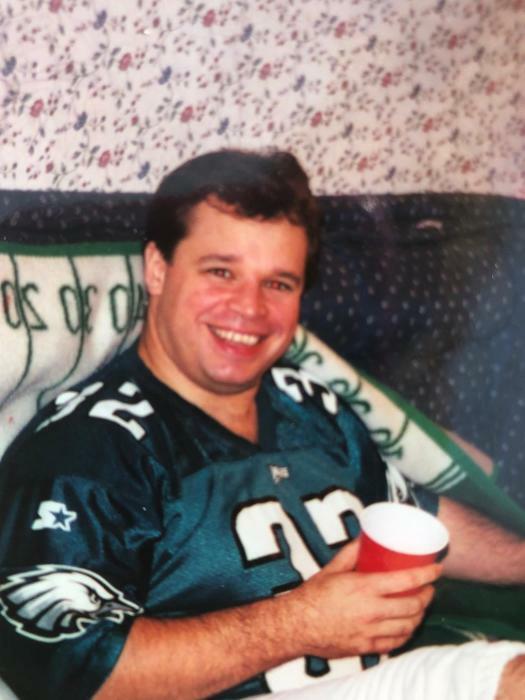 Joseph M. Boardman, a resident of Downingtown, PA and formerly of Philadelphia, PA, died suddenly on March 27, 2019. He was 50. Born in Philadelphia, Joe was the son of Annemarie (Mykijewycz) and the late Joseph B. Boardman. He was a graduate of Presentation BVM Grade School and LaSalle High School. He earned his B.S. in Electrical Engineering from Widener University. He started his career with Bender Inc. where he worked for over 20 years; his most recent employment was with Core Power Inc.
Joe was the loving father of Samantha Boardman; the beloved son of Annemarie Boardman and the late Joseph B. Boardman; a grandson to Rose Boardman and the late Joseph Boardman and the late Sofia and Michael Mykijewycz. He is also survived by many aunts, uncles, cousins and his caring friends and neighbors. Joe loved his family, friends and neighbors and his daughter Sam was the light of his life. His family will greet friends on Saturday, April 6, 2019, at 9 AM at Presentation BVM Church. His Funeral Mass will be celebrated at 10 AM. Burial will follow at St. Mary Ukrainian Catholic Cemetery, Elkins Park, PA.